Such crooks are still around to this day, but search engines have gotten a lot better at recognizing them for what they are and penalizing them accordingly. But old habits die hard. These black hat SEO snake oil salesmen are still around, and they’re still spreading misinformation about what really goes into ranking a page on Google. And unfortunately, there are plenty of people who buy into what they’re saying – enough that there’s still an underlying belief in many corners of the SEO industry that the only thing that matters is getting higher traffic numbers. Look, I won’t deny that higher traffic is important. You want more people to visit your website. You want more people to see your product or services, engage with your brand, and tell their friends about you. Where the disconnect exists is that the quality of your traffic matters way more than the quantity. Look at it this way. Let’s say you’ve opened a new store that sells discounted car parts. One day, you’re happy to see thousands of customers wandering the aisles and looking at your products. When you speak to one of them, however, you’re dismayed to learn they’re all cyclists – none of them have any real interest in purchasing what you’re selling. By that same vein, if you maintain a website that sells hosting services to its clientele, you’re not going to have much interest in attracting people who want to purchase luxury furniture. If you run a digital storefront that sells computer parts, visitors who don’t even own a PC probably aren’t going to do much for you. If it helps, think of search engine optimization as part of your lead generation strategy. You want your website to be more visible, sure – but only to the right people. That means thinking not just about keywords, but intent. When someone comes across a page on your site, what do they want out of it? What might a prospective customer be searching for when they find a blog post, video, or infographic? And perhaps most importantly, how can you deliver value to those visitors and transform them into leads? 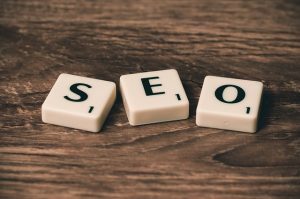 These are things you need to take into account when working out your SEO strategy. Because like it or not, it’s not just a numbers game. It’s about bringing in people who will actually engage with your brand – because raw traffic achieves little aside from congesting your servers.